…make sure it’s this one! 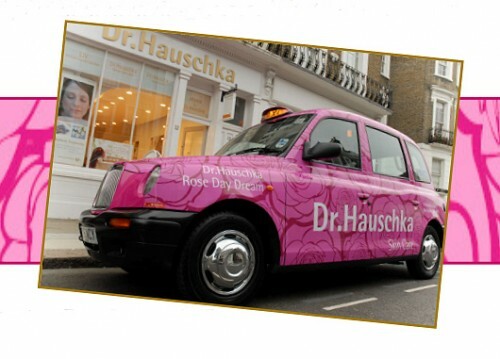 The Dr. Hauschka Rose Day Dream Cab will be pootling around town right through London Fashion Week and onward until the 5th October. If you see it, be sure to hail down the bright pink rose-emblazoned taxi because inside you’ll find free trial sized samples of the cult Dr. Hauschka Rose Day Cream! If you remember to ask for a receipt, you can also enjoy a 15% discount on products and treatments at the Dr.Hauschka treatment rooms and shop in Notting Hill. That’s a couple of great reasons to save those weary legs on the journey home!